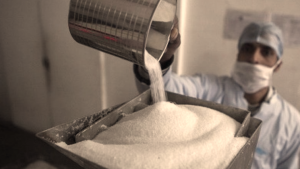 The South African Sugar Association (SASA) says it is disappointed at Finance Minister Tito Mboweni‘s announcement of an increase in the so called ‘sugar tax’ during his maiden budget speech. The increase translates into an effective 11% tax on sugary drinks. Earlier the Healthy Living Alliance (HEALA) says it supports Finance Minister Tito Mboweni’s announcement that he will adjust the health promotion levy – or sugar tax – for inflation from the first of April this year. In his speech Mboweni said the sugar levy would increase to 2,21 cents. The post S Africa sugar association reacts to “sugar tax” increase appeared first on SABC News – Breaking news, special reports, world, business, sport coverage of all South African current events. Africa's news leader..